The mission of the BIAC Future Foundation is to secure a permanent home for aquatic enthusiasts circa the Port of Redwood City. This patient and powerful team of leaders has expertise in community relations, real estate development, finance, executive and program management, boathouse operations, and fund raising. Adults seeking recreational and competitive paddling or rowing programs. Juniors seeking a supreme athletic experience with fabulous coaches. Community programs for ecotourism and the restoration of Bair Island. Access to and environmentally mitigating use of the waters of the Port of RWC. Remain at 1450 Maple and expand into adjacent lots with our noble landlord. 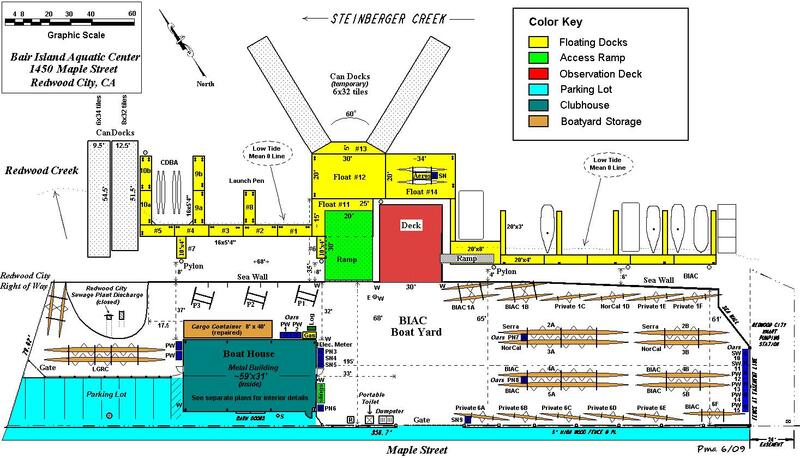 Cooperate with other clubs and build a boathouse scheduled for Westpoint Marina. Acquire prime real estate and develop a state of the art aquatic center. If you have interest in the teamwork required to find, fund, and build our future, please contact "Secretary at GoBair dot org". 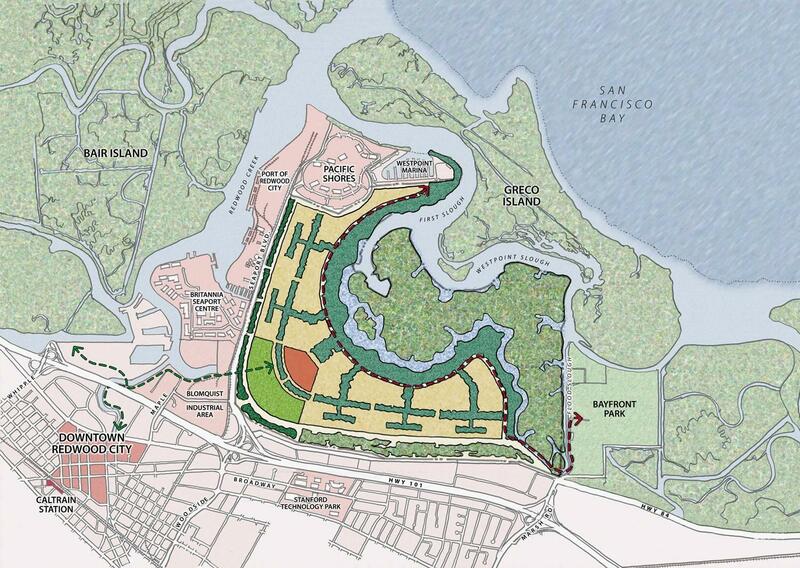 We welcome inquiries from organizations and individuals who share our vision and wish to create a lasting legacy for aquatic sports and the baylands environment. The temporary lease on the South Lot (formerly Cemex) has been completed and signed. The Dealers Storage Lot is vacated and equipment moved to the South Lot expansion. The full Expansion Plans for the South Lot are available on this web site. The April/May 2011 effort to expand the Storage Lot was not successful. The car dealers cannot give us more space because their dealership licenses require this much space. Today we are working with Planning and Parks&Rec in Redwood City to propose a modest and soft use on a temporary basis of the RWC owned former Cemex land along Maple Ave.
We have a draft site plan that we will further refine as we get into the Planning, Permit, and Execution phases of this proposal. Ballpark guess could cost $40K to get done. You can view our current full 3MB proposal here. 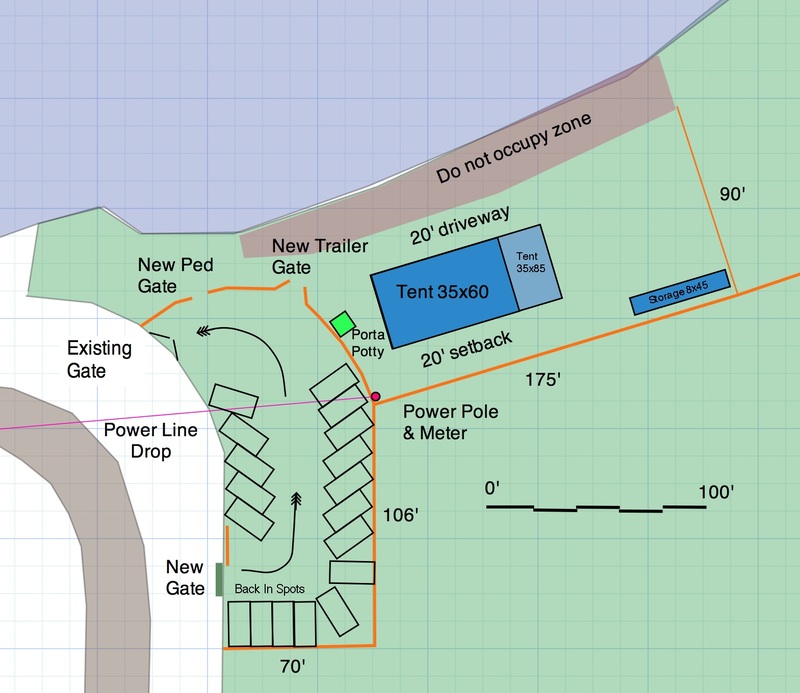 The most current site proposal drawing is here. FF Volunteers and the BIAC Board are working with Redwood City planners for an expanded Use Permit proposal for our Storage Lot. This would allow us to add off street parking and put a ergometer tent in the lot with flooring . A basic BIAC Public Relations slide set about us is now available. There is a basic BIAC past, present, and possible future presentation here. DMB is moving forward with an EIR for the Saltworks project. DMB is engaging with stakeholders to plan a layout. BIAC has identified several local potential 2K courses. A best course would be 2.2 K long, have public accessfor viewing, easy rowing and trailer parking access, flood and tidal control, and serve as a graceful but useful barrier between industrial, Saltworks, and conservation needs. 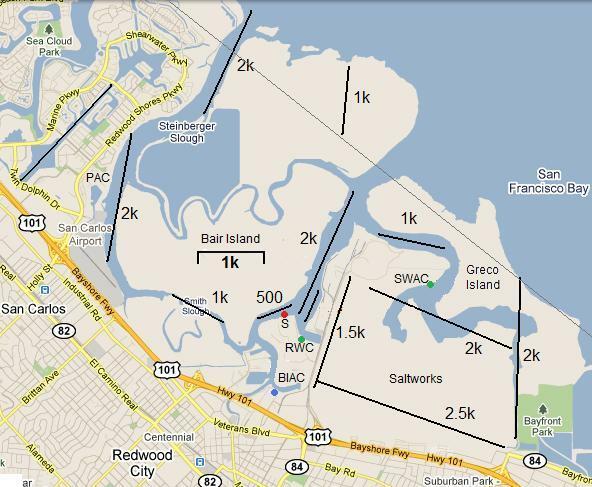 A survey from Redwood City Parks and Recreation puts rowing in the top five of high school after-class interests. Drivers Ed was #1. BIAC is working with Redwood City to respond and provide both high school and at risk youth programs. 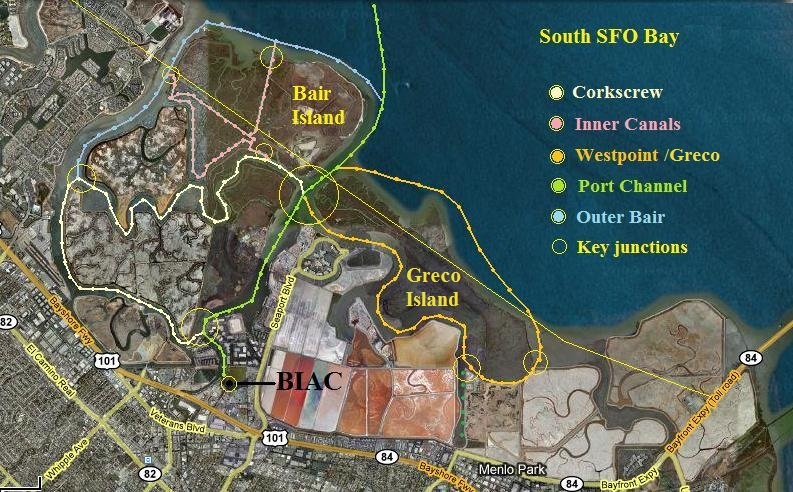 In June of 2009 the BIAC parcel and 3 adjacent properties were purchased from Cemex by Redwood City (RWC). BIAC was the only occupant allowed to stay on these properties. BIAC's leadership is now discussing a long term lease with Redwood City. 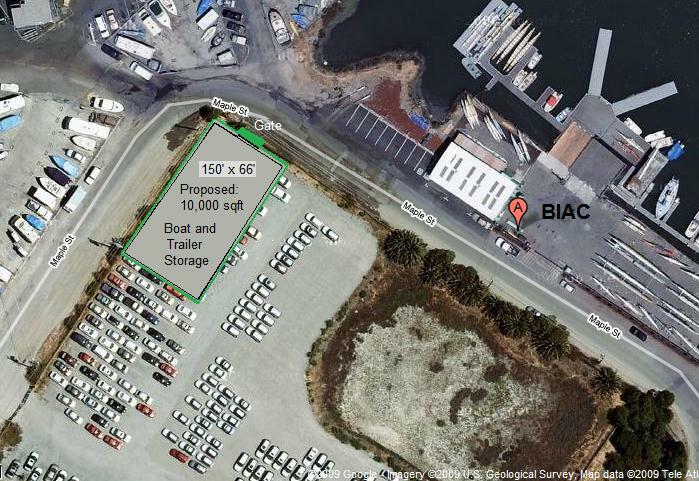 BIAC has been granted access to a larger and more convenient storage lot on Maple Ave.
Redwood City is very interested in "Public Access" to the water. 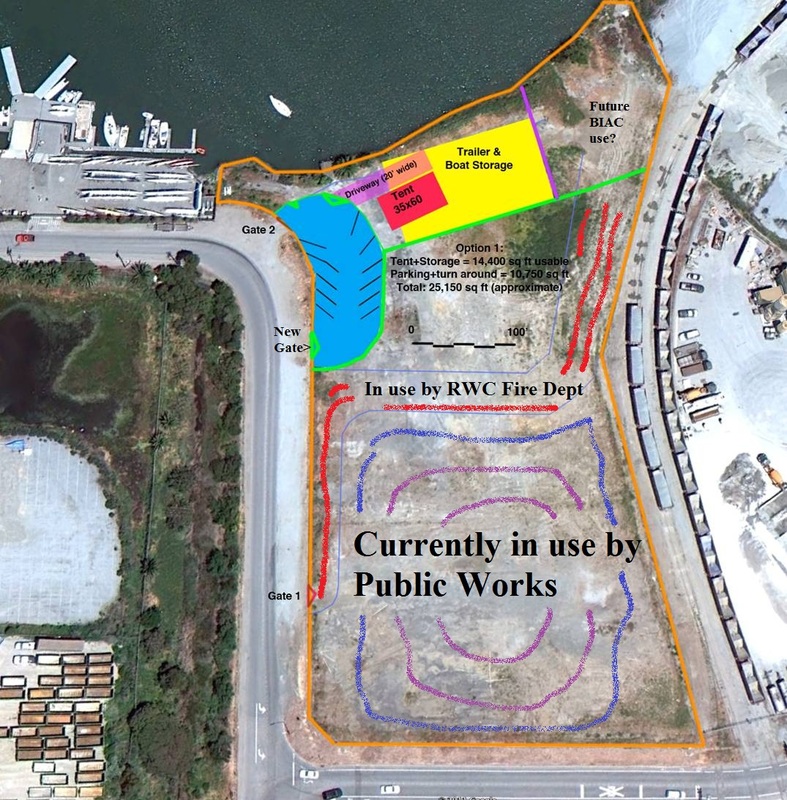 As BIAC has a decade of operational experience, RWC is asking BIAC for proposals on how to continue our mission and possibly expand our footprint and programs further to include options like kayak rentals. The Salt Works 50/50 plan continues to evolve, and BIAC is an active yet reasonable voice in suggesting that an Aquatic Center be part of the plan. BIAC leaders have hosted many informal gatherings at BIAC and trips around Bair Island with local officials, developers, and consultants whose awareness of the aquatic opportunity on our doorstep is blossoming in a very positive way. We continue talks with Cemex for a long term lease or to donate the site to BIAC. 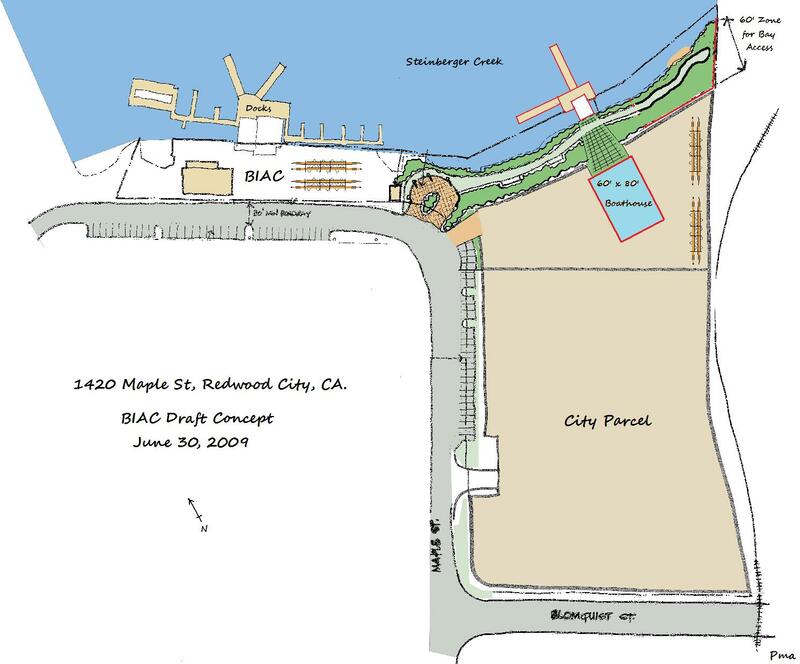 Redwood City has issued BIAC an "Ongoing" Use Permit recently. We are in talks with Westpoint Marina on how a full service aquatic center can be built and run. Mark Saunders desires >500 members for paddling and rowing. The Salt Works project has long term promise. 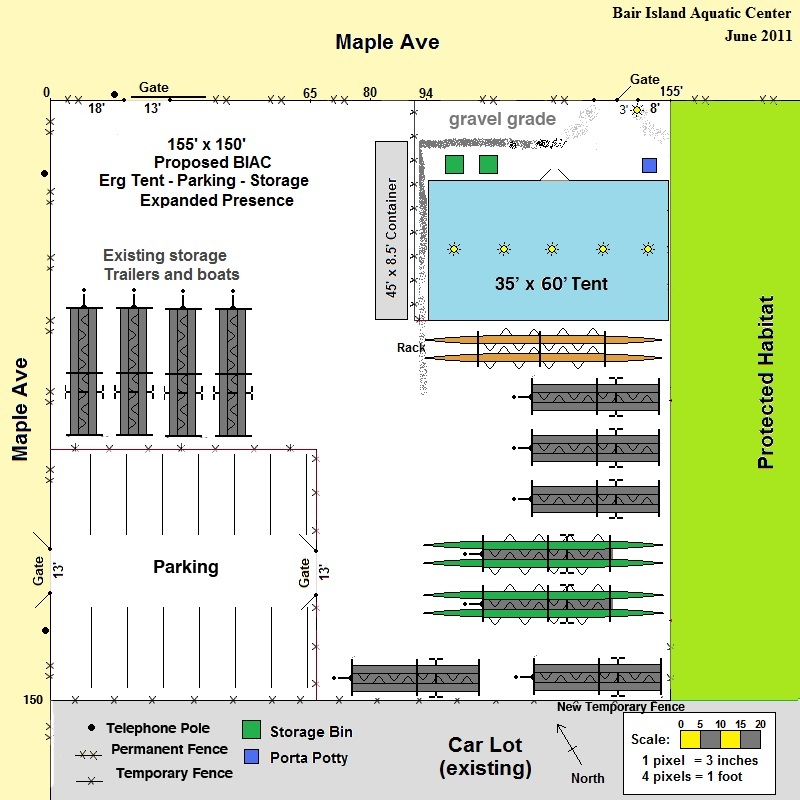 We have drafted a proposal to the developers (DMB) and they are willing to include entitlement for an aquatic center if BIAC can support some of their potential roadblocks along the way. This means initially supporting a 50/50 development policy and later challenging the upcoming Open Works Initiative in the Fall of 2008. Our Rebuilding Day with WebCor and Rebuilding Together was a huge success. Apply for a long term Use Permit. © Bair Island Aquatic Center since 1999 - "info at GoBair dot org"